Apparently I’m not the only one to have noticed the photogenic beauty of wind tunnels and what goes on inside them. So it seems appropriate to celebrate the beautiful images that have been captured in wind tunnels over the decades. Now, this isn’t a study of wind tunnels or their history, or even of aerodynamics. It’s simply a collection – and far from an exhaustive one – of photographic talent, form and light. In this case their confluence just happens to take place in one of the most wonderful pieces of scientific equipment ever devised (IMHO). Perhaps there’ll be a more pragmatic follow up post. Meantime, I’ve always said aviation is an art not just a science (or a vocation, for that matter). At the very least, it’s an alchemy that combines science with human creativity to produce something greater than either element. In that regard, it has a lot in common with photography. I’m sure you don’t need to be told, but remember to click (or click through to) each image to see it in full 1500 pixel glory. 1. My title image shows what I mean… These are the turning vanes of the 16-Foot Transonic Tunnel at Langley Research Centre (now demolished). The vanes guide the airflow smoothly around the corners of the Wind Tunnel. I think the photo dates from the 1990s, although the photographer’s name isn’t given. I’ve seen a copy with a lot less colour, so I’m not sure of the full story behind this shot. Anyway, the 16-foot (4.88 m) facility started out as a High Speed Tunnel and opened for business on December 5th, 1941… Retrofitted with a 60,000 HP motor and special slots in the test section, it was able to achieve test speeds up to and beyond Mach 1 from December 1950, giving it a vital role in aerospace research right through the Cold War. It’s alumni included the Douglas XA-26 Invader, Bell X-1, Hawker P.1127, Boeing X-21 Dyna-Soar, Saturn/Apollo, McDonnell Douglas F-15 Eagle and many others. 2. Sticking with the 16-Foot Transonic Tunnel, this is the first of two 34-foot (10.36 m) diameter fans that drives the facilities winds. The second fan can be partially seen behind the first. The beautiful blades are individually sculpted from laminated Sitka spruce, a timber much loved by the aircraft industry for its strength, lightness and clear grain. 3. 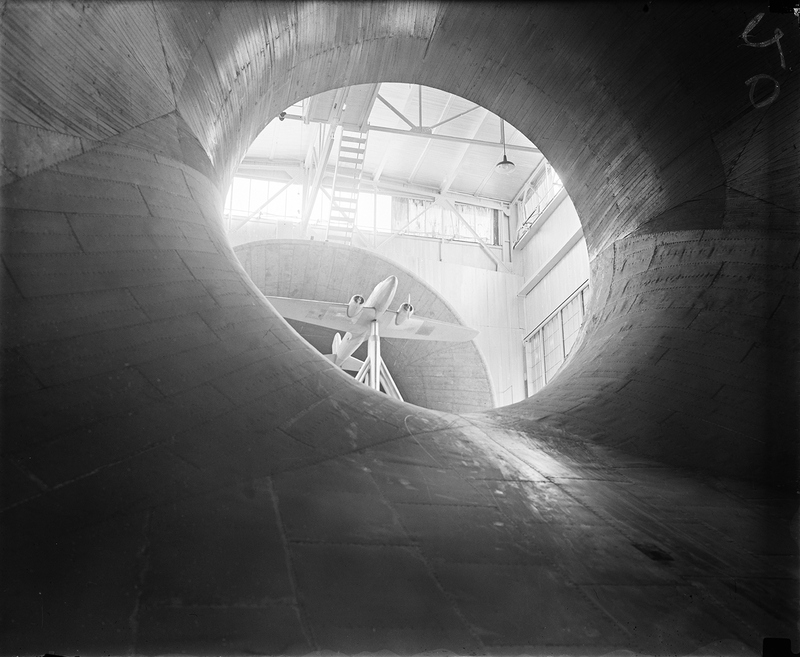 Looking into the throat of the the 7×10-Foot Low Speed Wind Tunnel (LSWT) at Langley in 1957. Completed in 1945, this was NASA’s second 7 x 10 (2.13 x 3.05 m) LSWT, and replaced the earlier one which had been brought online in 1930. 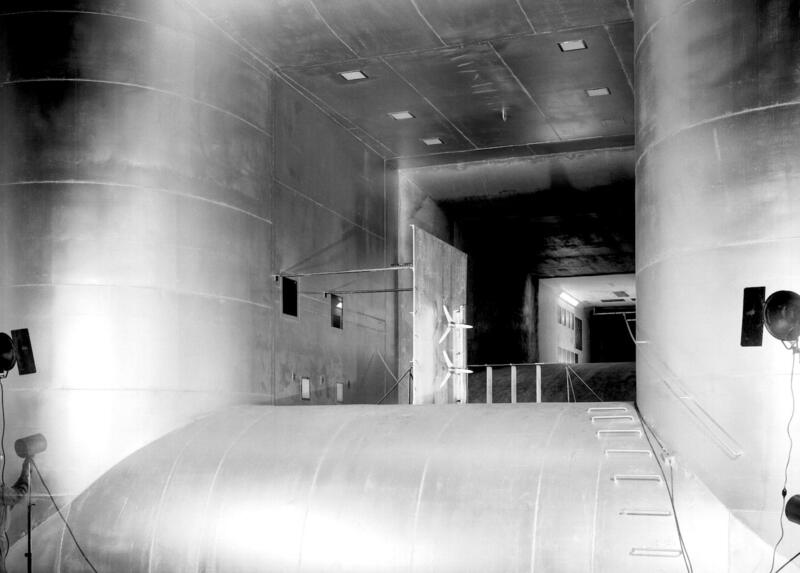 In 1956 a 15.8 x 17-foot (4.82 x 5.18 m) test section was installed within the tunnel’s flow circuit, upstream of the original 7 x 10 section, and proved ideal for testing VTOL and STOL designs. This photo looks through the still-new 15.8 x 17 section, with the original 7 x 10 section behind it. As proof that ‘Low Speed’ is a relative term when there are supersonic test facilities just down the road, this tunnel was also known as the ‘300 MPH 7×10 Tunnel’. And it played a valuable part in the development of North American’s X-15 rocket plane. 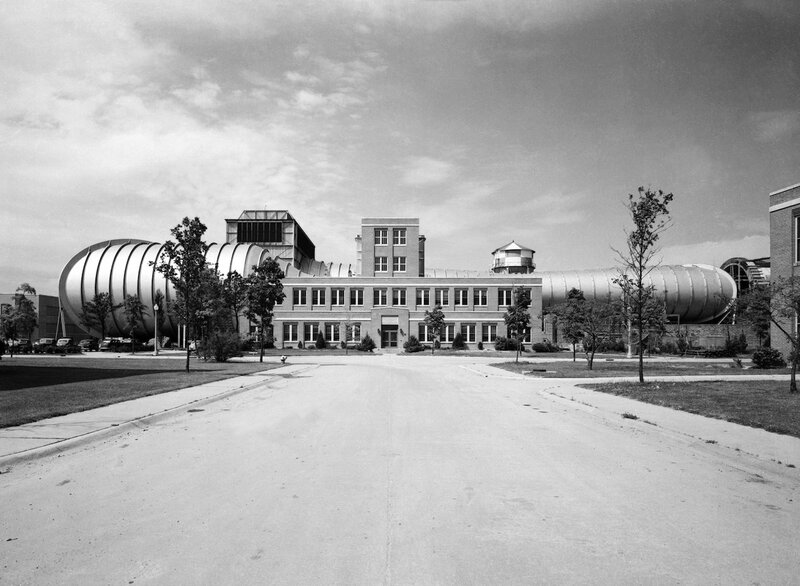 It was demolished in 1970, and the 14 x 22-Foot Subsonic Tunnel (Building 1212C) was built on the site. 4. 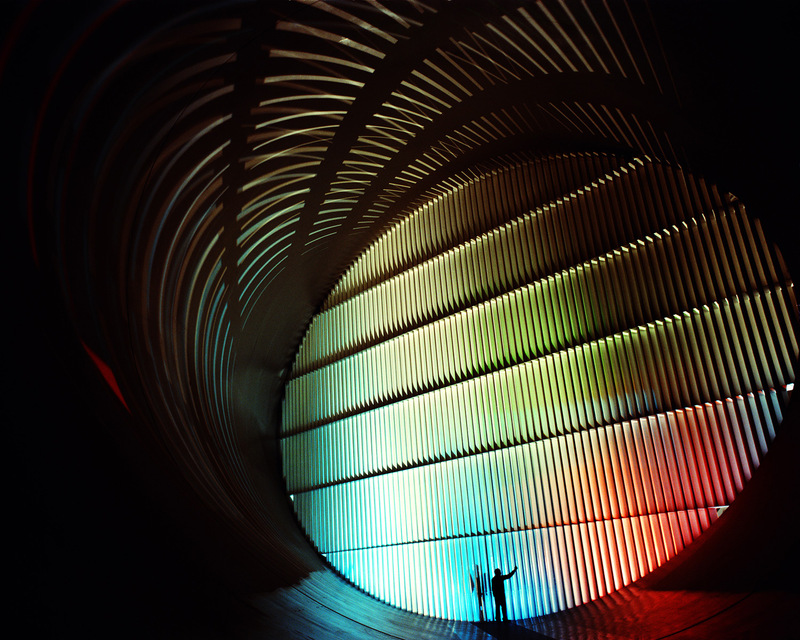 Pure art… Official NASA photographer William P Taub created this multiple exposure photo of himself in the long air return passage of Langley’s 16-Foot Transonic Wind Tunnel. If you compare this view with the title image, there is one set of turning vanes in the left-hand foreground and Taub is walking towards a second set at the far corner of the passage. Bill Taub was self-taught, but earned the job of documenting NASA’s work. He was originally hired as an NACA model-maker in 1941, aged 17, but was appointed photographer when he confounded the official photographers by capturing a spark inside an engine cylinder with his own Leica. 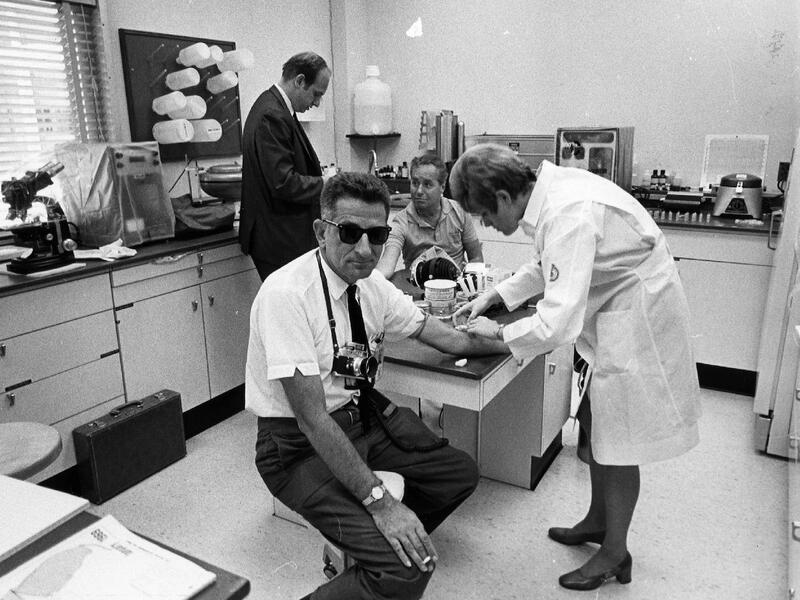 Just about every famous NASA photo you can think of, usually uncredited, was taken by Taub. He often had exclusive access to engineering meetings, astronaut training sessions and space capsules immediately before they were closed. His photos of the Mercury, Gemini and Apollo missions appeared in Life, Look, National Geographic and more. He died on March 20th, 2010. 5. 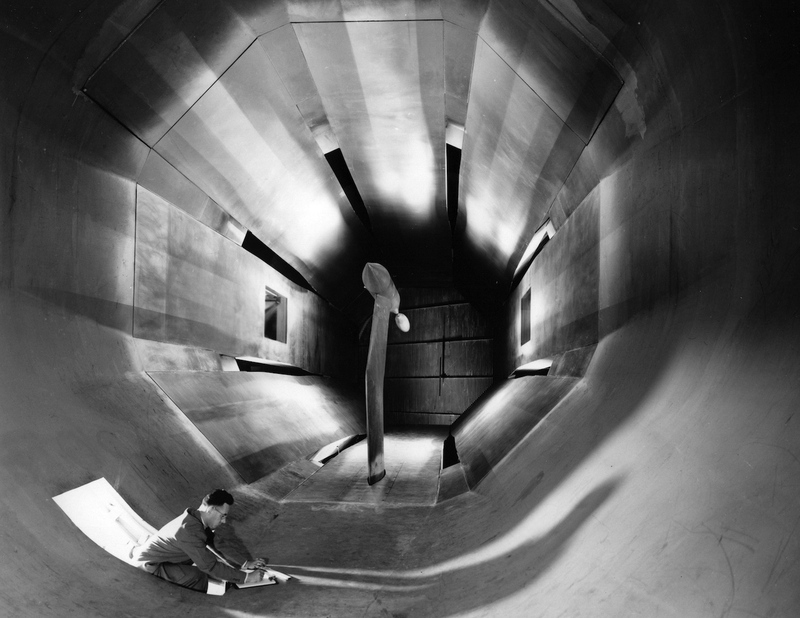 In an act of remarkable vision and boldness, engineers at Langley began design and construction of a Full Scale Wind Tunnel at Langley in February 1929. Owing to it’s novel design features, a 1/15th wooden scale model was built first – and that was used as a highly successful scale test facility for almost 30 years before being donated to Portugal, where it was still being used into the 1970s. The Full Scale Tunnel proper was completed in May 1931 and was the largest wind tunnel in the world at the time. Powered by two 35-foot 5-inch propellers, the tunnel was 434 feet long, 222 feet wide, and 97 feet high (132.28 x 67.67 x 29.57 m). The semi-elliptical test section was 30 feet high and 60 feet wide (9.14 x 18.29 m) with an ‘open jet’ (no walls at the subject) which let it test aircraft with wing spans up to 40 feet (12.19 m) wide. Virtually every American World War 2 fighter was tested at full size in the facility and a huge amount of drag reduction, flow analysis and performance improvements were made as a result. Post-war, the tunnel was used to test more aircraft designs, as well as new concepts such as boundary layer control, delta wings and more. Flow analysis was also conducted on airships, submarines, radar equipment, parachutes, space vehicles and even another wind tunnel. The tunnel was subject to considerable vibration damage over its lifetime, and its final tests were completed on September 4th, 2009. The building long-planned demolition followed shortly after, in 2010. 6. 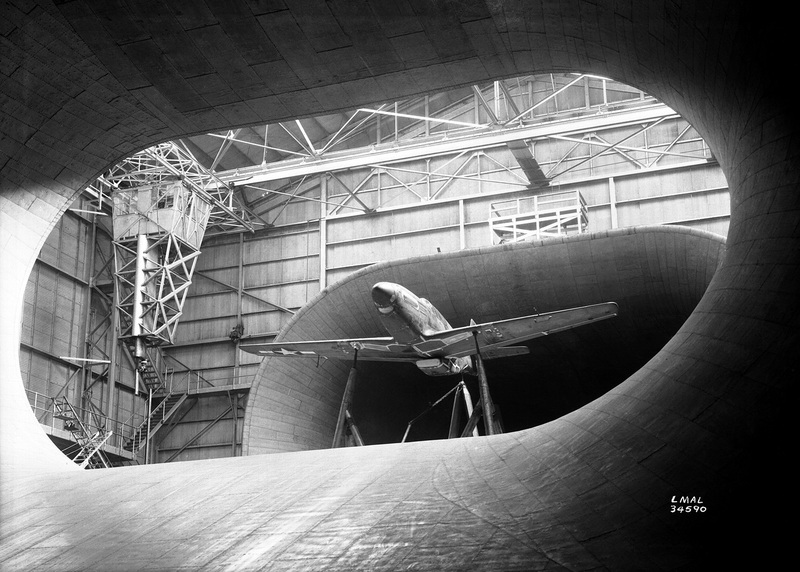 Okay, so possibly the reason for this entire gallery… (I promise it isn’t) …a North American P-51B undergoing testing in the Full Scale Wind Tunnel at Langley in 1943. As the Ames Full Scale Tunnel wasn’t completed at the time, NAA had little choice but to transport their sleek new Merlin fighter to the East Coast for full-scale assessment. 7. Long-time airscape followers will be no strangers to the seminal work of Alfred T Palmer and the US Office of War Information. 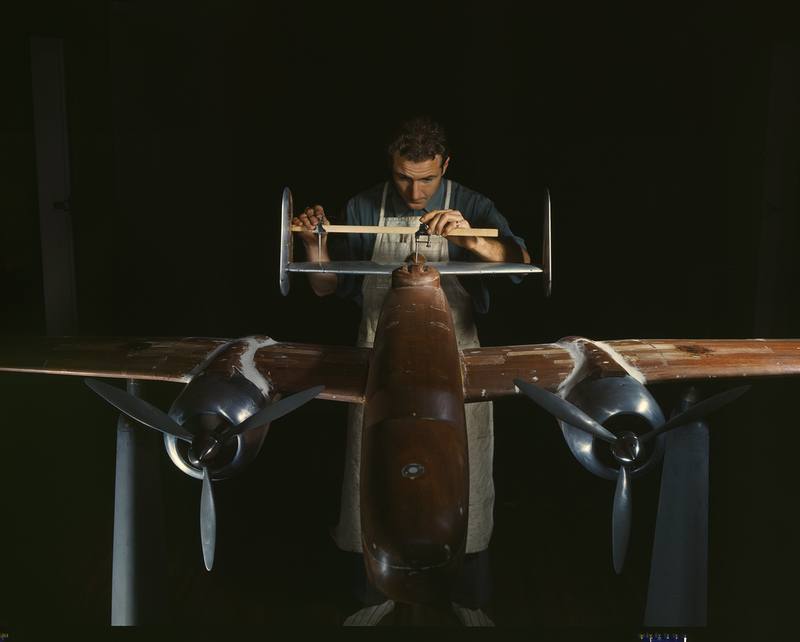 This photo is one of his – and shows a magnificent North American B-25 model being prepared for wind tunnel testing. 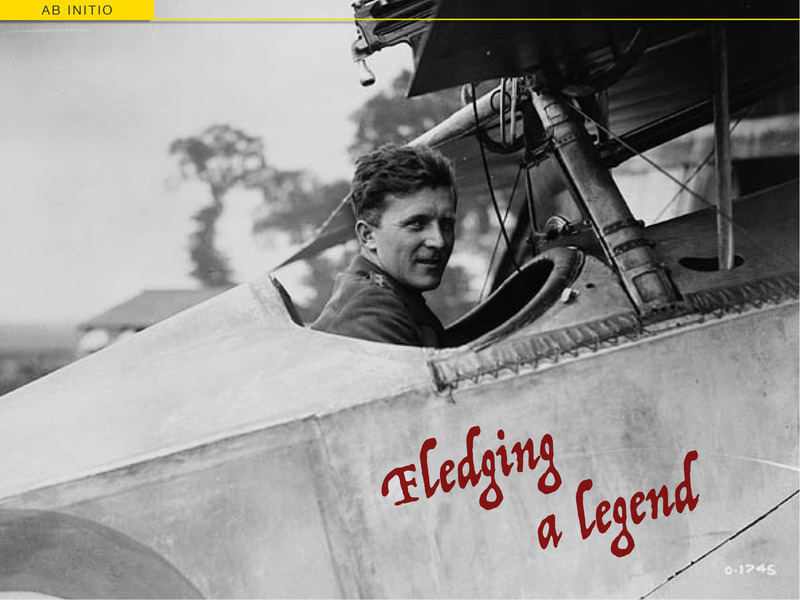 The location isn’t given, and although based in Washington, Palmer did most of his aviation work on the West Coast. So this could just as easily be at Langley, or possibly the new (built 1941) 7 x 10 Foot Wind Tunnel at Ames, Moffett Field. 8. 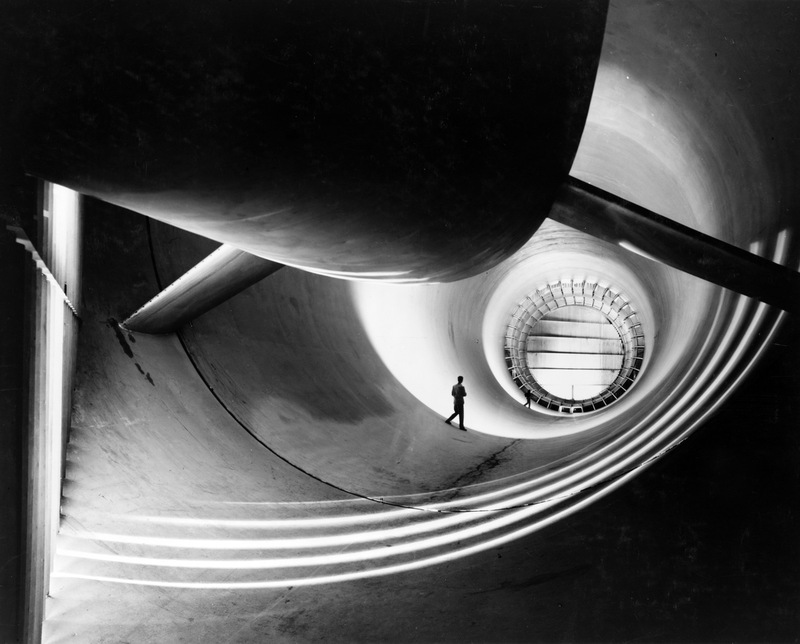 By 1944, NACA had commissioned the world’s largest wind tunnel for a second time – with a 40 x 80-foot Full Scale behemoth at Ames Aeronautical Laboratory, Moffett Field, California. Six 40-foot (12.19 m) fans drove air around the 173 x 132-foot (52.73 x 40.23 m) tunnel at a stately 35 to 40 miles per hour (56 to 64 kph) however, as it entered the narrow (relative, remember!) 40 x 80 test section, the wind could accelerate to 250 mph (402 kph) and above. In fact, of the total 900 tons of air (tons! – of air!) enclosed by the Wind Tunnel, 40 tons would pass through the throat per second. This uncredited photo is dated 1947, and shows the view from the main section looking up to a 50-foot test subject up in the throat. The aircraft type isn’t given, but the swept wings indicate something very forward-thinking for the time – the McDonnell XF-88 Voodoo and North American YF-93 could both be contenders, but it’s too hard to say with any certainty. For scale, make sure you note all four engineers in the shot. Give up? There are two (from the waist up) on the floor of the test section’s left-hand side, one at the wingtip of the test aircraft, and one standing in the door at bottom right. Big tunnel. 9. NASA’s wind tunnels have been used for far more than aeronautics – and have made major contributions to space flight as well. The ‘blunt object’ form of the early crew return capsules was developed and tested in the wind tunnels at Langley – proving it to be the design that would best resist burning up on re-entry. More recently, the descent parachutes for the current Mars rovers were tested in the full scale tunnel, and problems that could have been catastrophic to the missions were identified and resolved on the ground in Virginia. 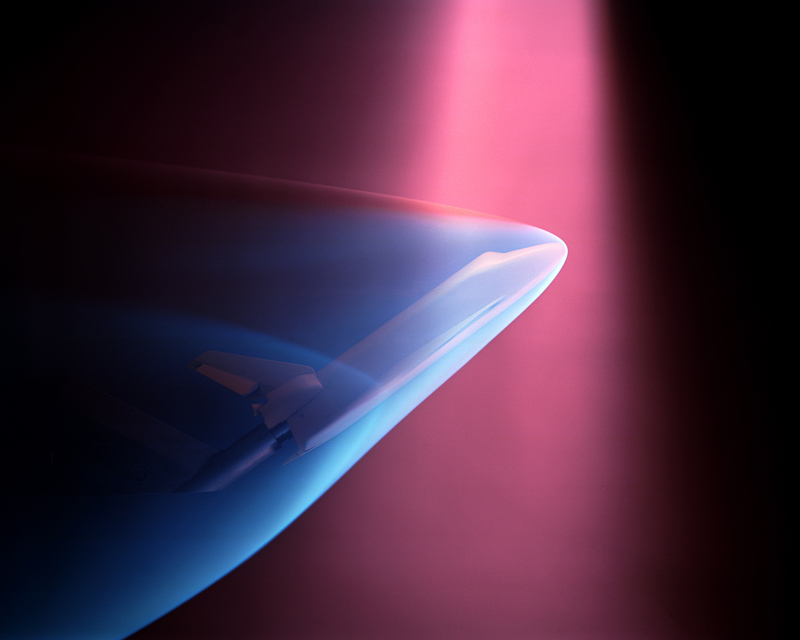 In this beautiful shot from 1975, wind tunnel tests model the flow of ionised gases that would form around the Space Shuttle Orbiter Vehicle as it re-entered Earth’s atmosphere. The first Orbiter, Enterprise, was built the following year. Awesome photos! I especially like number 6 and 7. Wouldn’t it be cool is all those models were found somewhere . . . ? Ah yes, 6 & 7. I wonder if they survived. In theory, the models were the property of the manufacturer, so the NAA ones should be in the NAA archives at Boeing. Mind you, a bet a few got ‘taken home’ and others are in museums… What I can’t imagine is anyone smashing one up or throwing one on a fire. (Just ignoring what they did to most all of the actual aircraft for a second.) Surely??? We can only hope that they didn’t get destroyed! It would be pretty cool to have a museum of just airplane models like that. 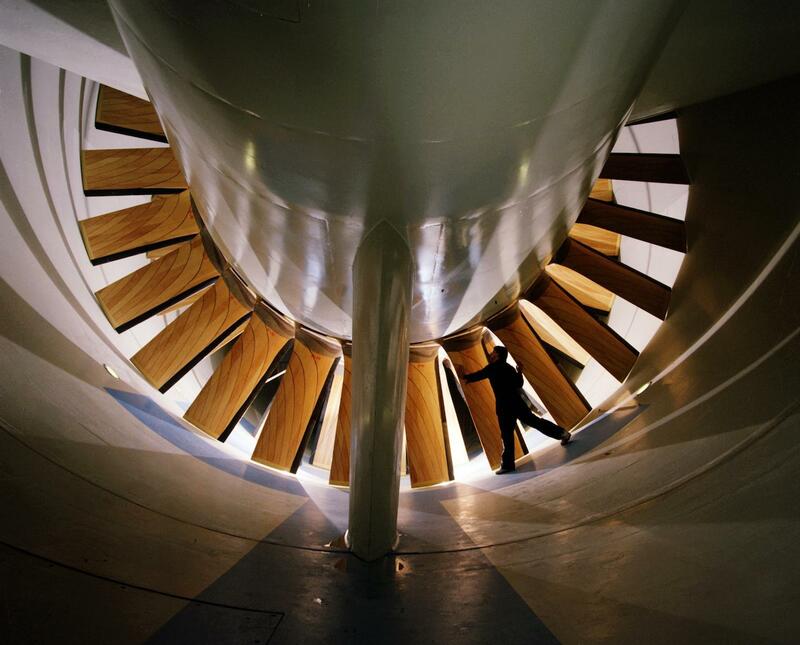 Incredible photos and what amazing places these wind tunnels are. They are magnificent feats of engineering, designed so perfectly, and yet so little is really known about them outside of aeronautics. Maybe getting excited over aerodynamics and engineering isn’t for everyone, but I think the visual appeal should be easy for almost anyone to appreciate. 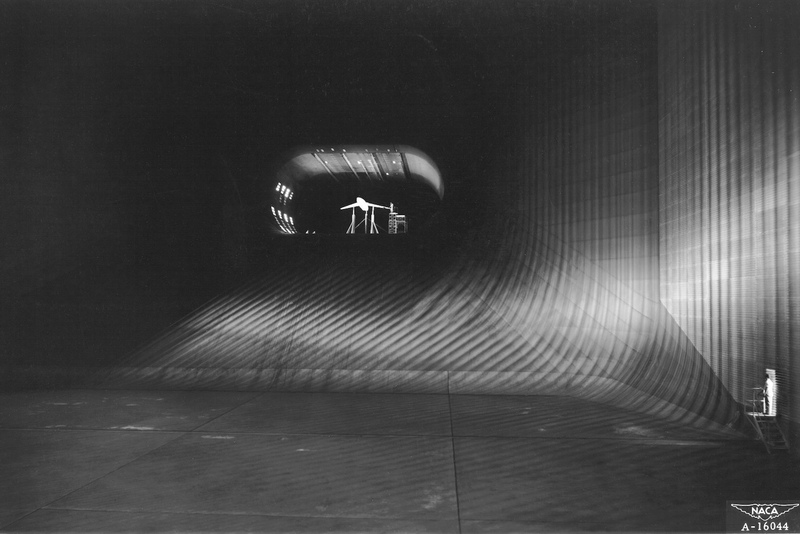 Interestingly, I found a set of photos from Republic Aviation’s company wind tunnel through the 40s and 50s and they’re just photos of objects. There’s something special going on in these NASA images. These certainly are more ‘artistic’ than many, turning what can be to some, quite an uninteresting feature, into something mysterious and beautiful. For me they are like you, incredibly interesting features in themselves! Fascinating things, wind tunnels! Vickers Ltd had one at Weybridge and I seem to recall there were photos in their archives involving smoke being fed into the stream to visualise the airflow over the models being tested. Now those would be some photos worth seeing! Apart from finding smoke streams fascinating, I bet Vickers put some truly fascinating shapes and ideas through their paces over the years. Indeed! The 111, Valiant, Vanguard to name just three! Nearly forgot (how could I?) Barnes wallis’ SWALLOW project. That was extensively tunnel tested at Weybridge with scale models before the Government killed the rather promising project!